As regulations tighten and technology evolves, monitoring and removing pharmaceuticals and personal care products (PPCPs) from wastewater streams becomes more complex. A laboratory information management system (LIMS) may be the key to managing this complexity. A recent study published in Environmental Pollution1 identified 56 active pharmaceutical ingredients (APIs) in effluent samples from 50 large wastewater treatment plants across the U.S. Among the products found in samples were commonly prescribed anti-psychotic and antihypertensive drugs. As more studies continue to fuel public concerns over risks to public health and the environment, wastewater treatment facilities will be under increasing scrutiny. 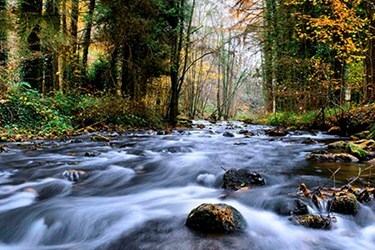 Although the research presented in Environmental Pollution argues that the risk these contaminants pose to humans is “generally very low,” too little is known about their cumulative impacts and even less is known about the potential damage they may do to nearby aquatic systems. These uncertainties, especially regarding how wastewater treatment processes and regulation will change in the coming decade, pose significant challenges to treatment facilities. The industry must do more than just invest in new technology to treat today’s changing waste stream; it must also prepare itself for a still uncertain regulatory future. Treatment facilities were not designed to make water pure. While technology and science continue to make rapid advancements, today the industry simply cannot ensure that effluent is 100 percent free of pharmaceutical compounds. What many treatment facilities are doing, however, is adopting new methods to analyze the waste stream, identifying contaminants at concentration levels unprecedented for this industry. This puts wastewater treatment facilities at the center of a larger effort to discover the sources and migration of pharmaceuticals, as well as personal care products. Monitoring trace levels of chemical compounds requires new analytical technology, methods, and approaches to data management. For many wastewater treatment facilities, the answer to managing this complexity may already be in place: a laboratory information management system (LIMS). Not only is a LIMS capable of managing massive amounts of sample data, but it’s also able to aggregate and present sample data from analytical instruments required by the new PPCP monitoring paradigm. Instrument data is only as useful as the system that manages it: If the data are poorly organized or difficult to access at the time of need, then they might as well not exist at all. At their core, analytical instruments are a means to an end — and that end is monitoring data. This fact means that the most effective monitoring programs are data-centric, not instrument-centric. This is particularly true for wastewater monitoring, where the science, regulation, and even the pollutants themselves are changing rapidly. By automating data collection, standardizing workflows, and efficiently presenting information to key decision-makers, a LIMS gives treatment facilities the flexibility they need to address the ever-evolving challenges of modern wastewater monitoring. Wastewater monitoring is largely defined by frequent changes in analytical capabilities, the identification of new pollutants and, of course, regulation. New analytical techniques, including the ability to detect contaminants at lower concentrations, can drive new regulation. Likewise, the identification of new pollutants in wastewater leads to the development of new analytical techniques and an evolving set of regulatory requirements. Flexibility is critical for wastewater treatment facilities. From new instruments and sampling techniques to a multitiered regulatory landscape, workflows are increasingly complex, and greater discipline is required to manage reporting and compliance. Even in a single water district, requirements can vary from municipality to municipality, and federal regulation is far from static. The last layer of complexity is the constantly changing list of pollutants. With PPCPs alone, the waste stream today is vastly different than it was a decade ago. Today’s wastewater treatment facility must not only detect a changing list of contaminants, but it also must do so on testing schedules that vary based on everything from tides to temperature. And that’s just for known substances. Many facilities still routinely identify new compounds and subsequently must develop ways to treat them and monitor the effluent. 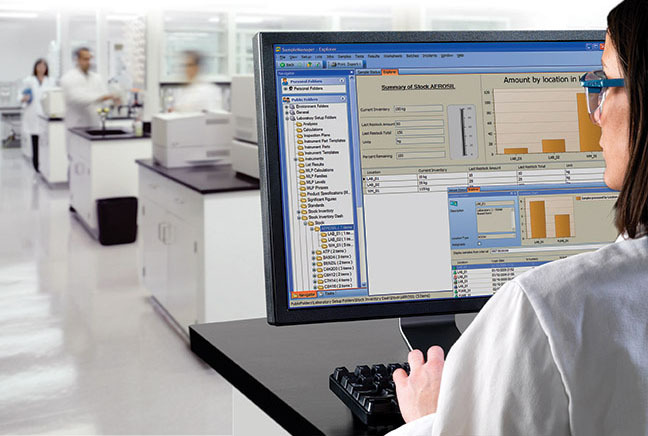 Lab software can be used to enhance record-keeping and decision-making. LIMS were designed to make laboratories and the businesses they support more agile by managing simple and complex sample testing protocols, integrating lab instrumentation, and centralizing data capture. In wastewater treatment, LIMS play a role in assimilating new instruments (with greater degrees of automation), refining sampling techniques, and adjusting to new regulations and new pollutants. Software ensures that this change is managed easily and cost-effectively — presuming, of course, that the system is fully paperless. When this happens, the sampling, monitoring, and compliance regimen is highly flexible, and the risk of human error due to manual data transcription is greatly reduced. As both the volume and variability of PPCPs entering the wastewater stream continue to increase, process flexibility will become increasingly important. A LIMS also provides the flexibility to adjust to testing requirements that vary by time of day, season, or other factors. A facility may need to monitor for a tracer pollutant (such as sucralose) during a particular tide and then quickly recalibrate instruments for another standard operating procedure (SOP). This takes time but far less of it if a LIMS contains all SOPs and helps actively manage unique testing requirements. A LIMS also supports real-time decision- making and alerts. Trend data can be useful in setting limits, such as flagging specific peaks in data that represent a possible incursion or costly violation. All of this can be preset in the LIMS, which can then provide alerts that resolve issues before they become dangerous or costly. Flexibility extends beyond sampling SOPs — instruments must adhere to a strict maintenance regimen, and employees require constantly updated training. A LIMS can manage all this, too, storing the newest SOPs, keeping track of maintenance schedules, and ensuring that staff are up to date on their training. Record-keeping of these functions is particularly important with ISO 17025 certification, for example. Whether needed for local, state, or federal compliance or ISO certification, traceability, and the resulting documentation, are critical for today’s treatment facilities. The need to detect more contaminants is only part of the story — some facilities, such as those using reverse osmosis for treatment, must track waste that crosses not only through its gates but also state lines. Once the sample data enters the LIMS, however, it can easily be recovered, consolidated, or presented on demand — this can all be done with a few keystrokes. Treatment plant staff — or, for that matter, external auditors — can easily review where a sample came from, how it was treated within the facility, and where both the resulting waste and treated water went after leaving the plant. As both the volume and variability of PPCPs entering the wastewater stream continue to increase, process flexibility will become increasingly important. Treatment facilities face constant change, and LIMS are designed to help companies easily and cost-effectively adapt. There is no one-size-fits-all approach, so each facility must have the flexibility to design a system that is unique to its needs, one that works for its specific sampling and regulatory requirements. Wastewater treatment processes and regulation will change in the coming decade, and the industry must adapt and continue adapting. The proliferation of PPCPs puts wastewater treatment facilities at the center of larger efforts to discover the sources and migration of pharmaceuticals. This higher mandate simply isn’t possible in a paper-based system, and it isn’t possible without LIMS. This new monitoring paradigm does indeed mean new challenges, but the answer does exist to see the industry through successfully. Jeanne A. Mensingh is president and founder of Labtopia Solutions, which provides tailored quality system advisory services to help businesses meet regulatory requirements and enhance performance. Colin Thurston is a project director for Thermo Fisher Scientific and a graduate of Salford University (Manchester, UK) with a BSc in chemistry. He has worked for Thermo Fisher for the past 18 years in the sales, support, and marketing of laboratory software. 1. Environmental Pollution, Volume 184, January 2014, Pages 354–359.